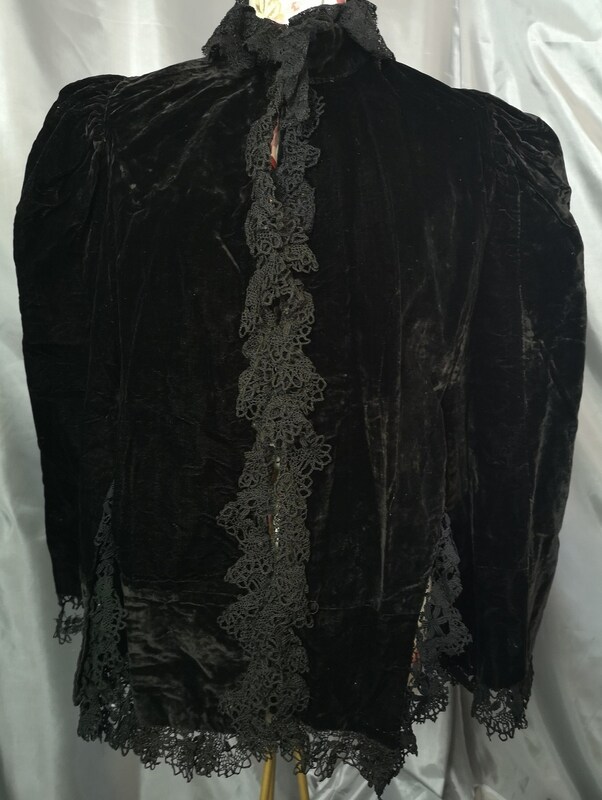 An unusual and elaborate Victorian mourning cape. 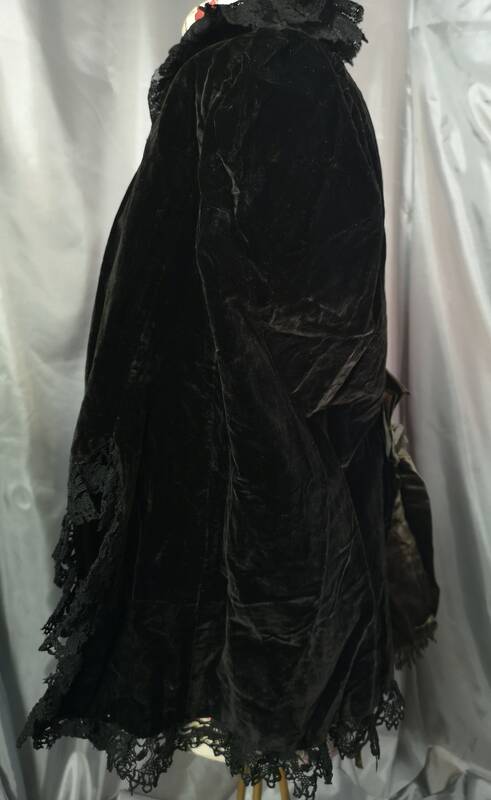 Unlike most mourning capes this one has slits cut into it for freedom of movement to the arms. 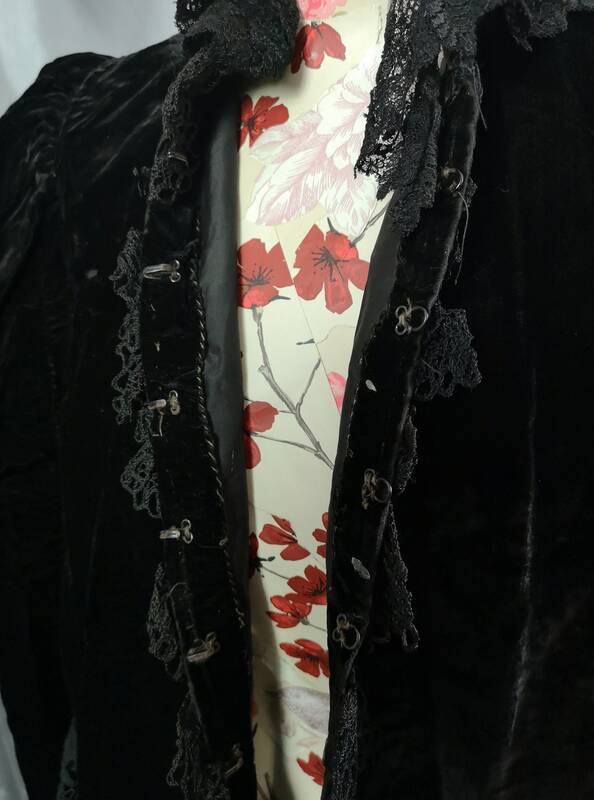 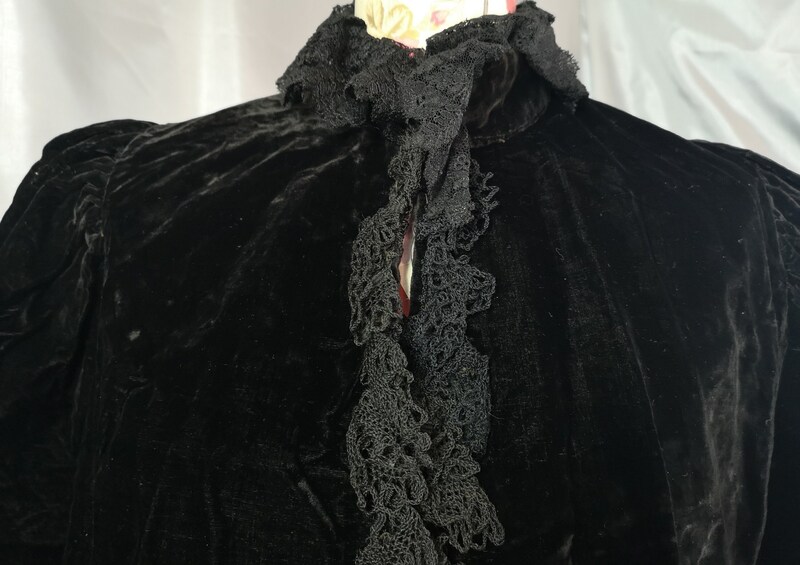 It is made from a thick and rich black velvet with raised ruched shoulders, the collar is trimmed with layers of black lace. 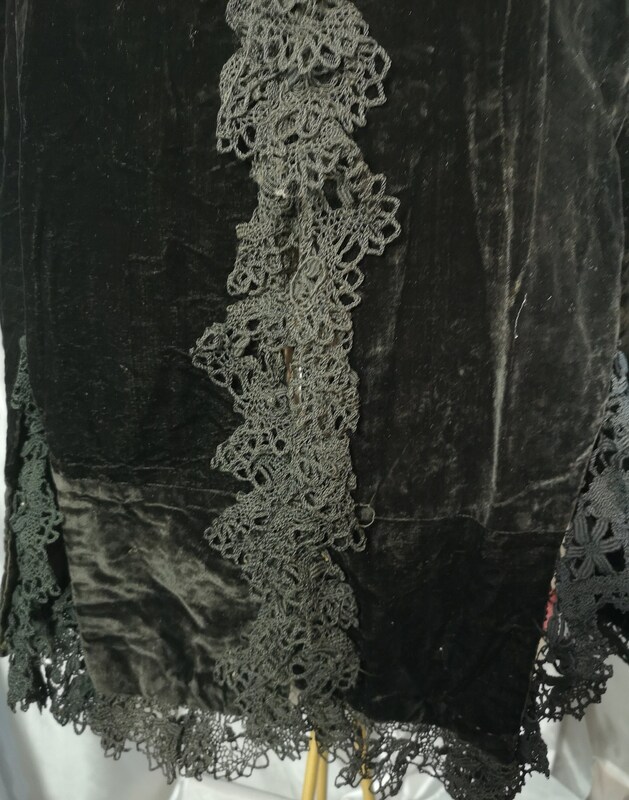 The front and the hem are fringed with a hand sewn cotton crochet lace. 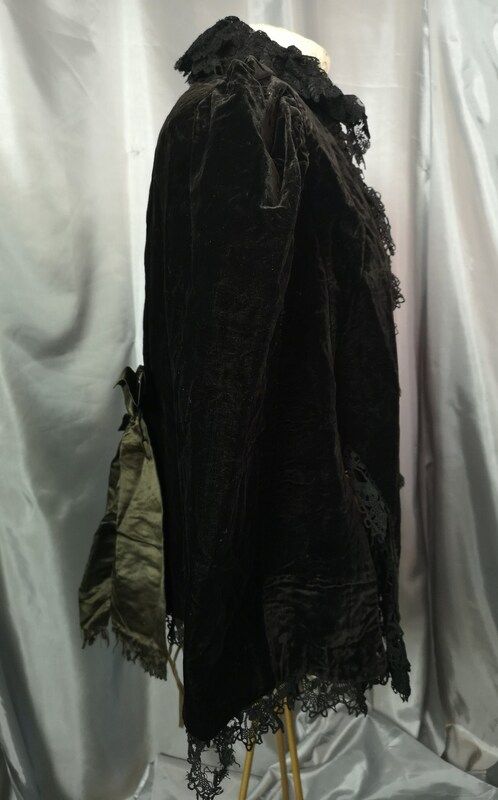 It has the original large metal hook and eye fastenings, these show a little rusting but all appear strong. 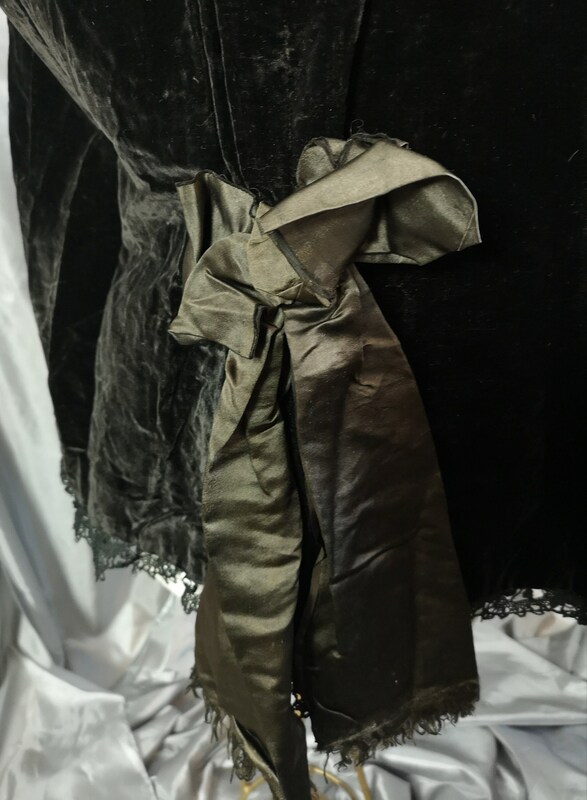 It has a large silk bow at the back this has some discolouration but is pretty nonetheless. 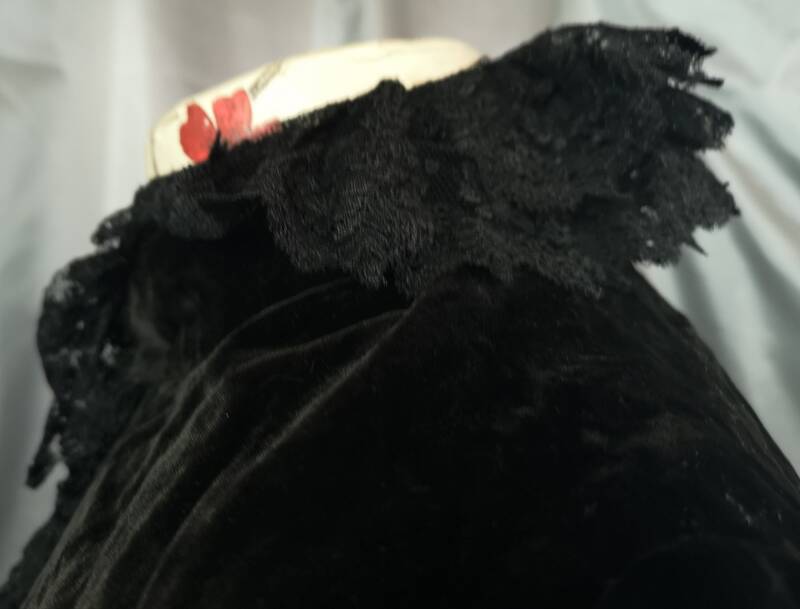 There are some small nibbles to the silk inside (see photos) one hook fastener is missing and there is a parting of the fabric on the shoulder (see photos) all of which could easily be restored. 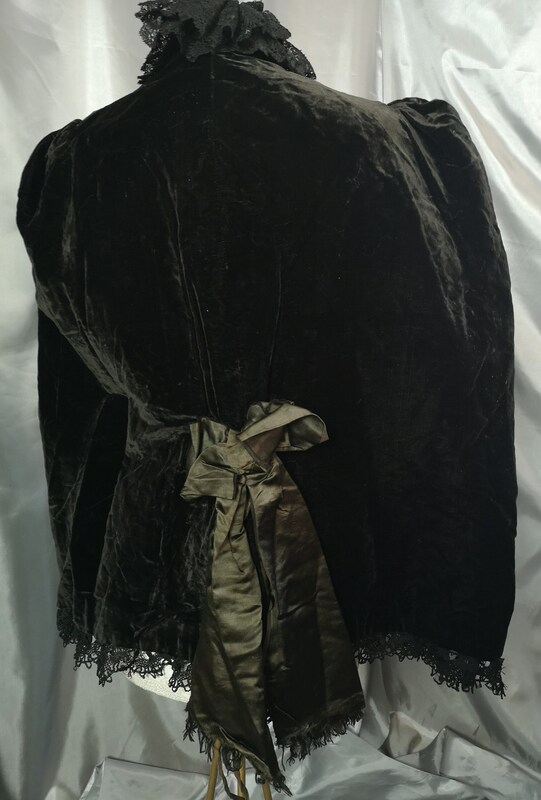 Approx 27" total length and 20" shoulder to shoulder.